Ocean views, private balconies, soaring nine-feet-high ceilings, kitchenettes, custom-designed furniture and spa-ready bathrooms, oh my! 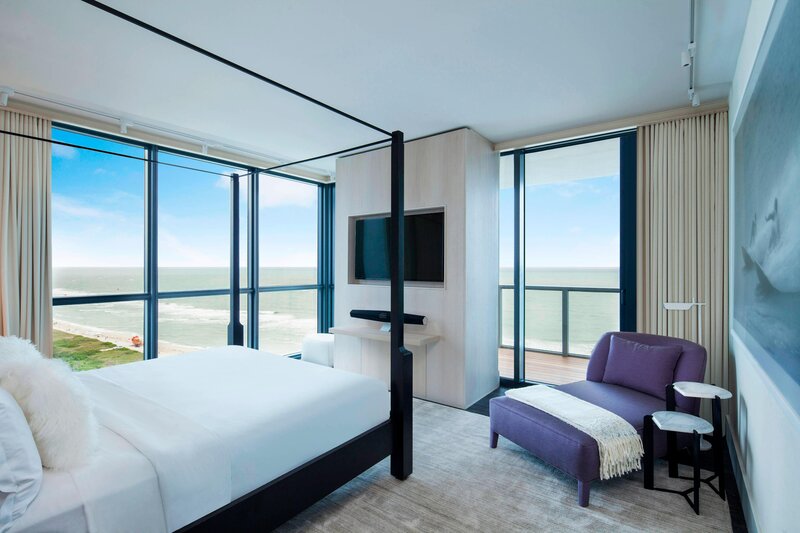 While photography and art by Grammy-nominated lensman Danny Clinch rock and roll the walls, each of our guestrooms and bungalows are plugged in to style and sophistication in our sensational South Beach sanctuary. Visualized and brought to life for your viewing and living pleasure by award-winning designers Yabu Pushelberg and Anna Busta, wake up to where bigger is better and more is luxury galore. Begin by opening the metal-studded door to your private refuge. 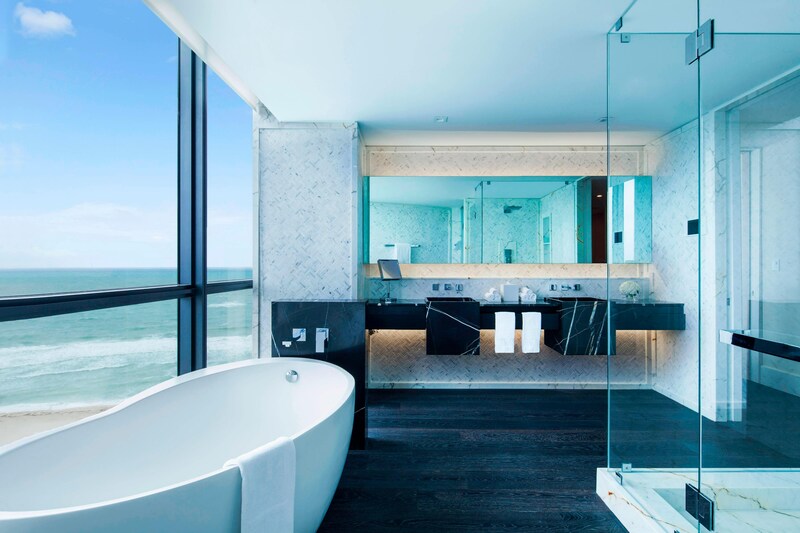 From balcony to bathroom, slats of white ceramic flooring with wood grain finish unite the entire space as a stunning floor-to-ceiling screen with suspended squares of opaque and clear acrylic defines the living and sleeping areas. Not one but two flat screen plasma TVs set the scene in each guestroom as sleek full-service kitchenettes and kitchens tempt the gastronomical maestro in you to innovate. And with spa showers, full-sized bath tubs, soaking tubs and outdoor plunge pools, bath time has never been this much fun. Lose yourself in a whirlwind swirl of high-energy interiors, vivid design, cutting-edge technology and uniquely modern amenities to fulfill every wish. The signature W bed. Bliss® Spa sinkside six. High Speed Internet Access. Spectacular in-room entertainment. So revel in magnificence when you roam away from home. Stay a while. Some of the amenities listed may not be available in all rooms. Fees on certain amenities/services may apply. You&apos;ll think highly of the best suite in the house.